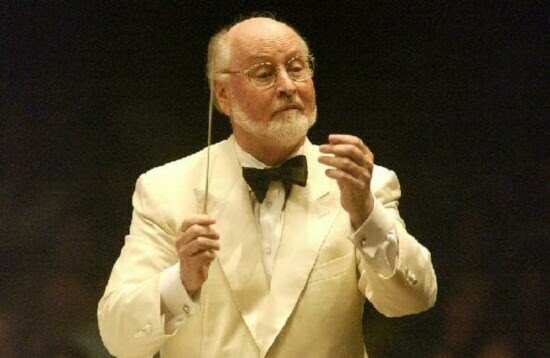 Matt Zoller Seitz and Ali Arikan are on Day 3 of a wonderful Blog-a-thon dedicated to John Williams, a household name when it comes to composers of film music. It continues through May 30th over at Edward Copeland on Film. I've been on a short sabbatical enjoying time with my parents, in-town to visit with our kids who are out from school until next week, but I wanted to briefly interrupt the vacation to direct fans unfamiliar with his earlier work to two of my favorite themes of his. You see, some of you may know the easy answer if I ask, What powerful producer-director—best known for his science fiction work—did John Williams collaborate with at the outset of his career? Some may say Steven Spielberg because of Close Encounters of the Third Kind (1977) or E.T. - The Extra-Terrestrial (1982). Alternatively, you might respond by saying George Lucas, for Williams' work on the first Star Wars trilogy. Years before though, when he was often credited as Johnny Williams, the composer was cutting his teeth by creating exciting, but brief television themes for the opening titles of many of Irwin Allen's cult science fiction series. Starting with Allen's Lost in Space (1965-68) and on through The Time Tunnel (1966-67), Williams music was married to some fantastically evocative main titles, titles that often summed up the premise for each show in thirty seconds. But the hook or the lure was Williams' brief compositions. The culmination of his work with Allen, in my opinion, are the soaring themes for the two seasons of Land of the Giants (1968-1970). I've been revisiting this underrated action show on DVD, and I can't tell you how rare it is to find a TV musical theme one can listen to so incessantly without it wearing out its welcome quickly. Both seasons of Land of the Giants are two exceptional instances which disprove that axiom. Since I'm not the most qualified person to discuss the intricacies of music, I'll share my appreciation by presenting the opening credit sequence for the first season, followed by the one for its second. Head over to The John Williams Blog-a-thon at Edward Copeland on Film for more. Could Williams have gotten that Time Tunnel gig through James Darren? Consider that Williams did the score for three of four films that Darren and Paul Wendkos had worked on, plus Williams also scored Diamond Head. Just a thought. Thanks for commenting. I'm doubtful that Darren got the gig for Williams because Williams had already composed the theme for LOST IN SPACE for producer Irwin Allen a year before Darren was cas in TIME TUNNEL. But since you bring it up, maybe Allen got the idea for Darren after watching Williams' music reel, which surely contained the Wendkos/Darren films. Interesting to speculate on this. Somehow I'd never heard that theme, but then again, as I can't honestly say I'd ever saw an episode of LOTG, that's not surprising (I am old enough to remember the show). But it is a pretty nice theme. My story about Williams and his tv work has to do with the pilot episode for Gillligan's Island titled "Marooned" from 1964. No, he didn't write the catchy theme song, only appropriately goofy incidental music - and I mean that with all sincerity! The producers must have liked his work, as he wrote music for 20 more episodes of the show.